At least 1,400 people in 10 countries sport a cryptic purple tattoo somewhere on their bodies. From one angle, it looks like a letter from an obscure ancient alphabet, but with a little imagination, one can make out the form of a lavender person lunging into a run. It's the logo of Anytime Fitness, the 24-hour gym franchise that this year has captured the top spot on the Franchise 500(R). The tattoos--the company reimburses anyone who gets one, if they submit a photo and story--aren't really about branding or marketing. For most people, they represent a personal accomplishment: losing weight, improving their health, recovering from a serious injury or illness or starting their own small business. 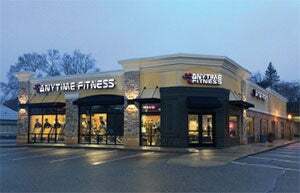 "Anytime Fitness is just four walls and a treadmill," explains CEO Chuck Runyon, who founded the franchise in 2002. "We are a conduit. The tattoos are not about us. It's about our clients and employees, how they think about themselves." The clean, modern, low-cost facilities have helped the Minnesota-based company jump to nearly 2,500 units with 1.9 million members. Another 1,500-plus locations are slated to open over the next five years. But the real secret to Anytime's success is its focus on its culture, clients, employees and franchisees. "Culture trumps everything," Runyon says. "Culture eats strategy for breakfast. A cohesive team leads to performance." And that's not just lip service. 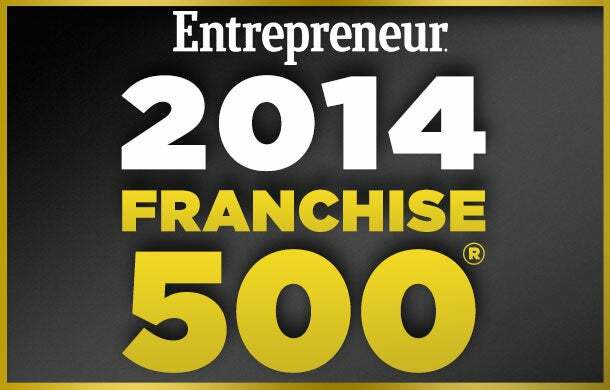 Runyon says Anytime aspires to improve franchisees' lives, not just pump up their bank accounts. "We want people to grow and to say, 'Anytime made me a better person,'" he explains. "We have a franchisee who used to work at Pizza Hut. If you look at a picture of him when he worked in that unhealthy environment and what he looks like now, there's an incredible transformation. Our top priorities are family, health, wealth and safety. Our franchisees improve their health, they feel better, they become better spouses, and they go to work every day and improve themselves. It's very cool." That potential for self-improvement extends to employees (in fact, for the past two years, Minnesota Business magazine has ranked Anytime the No. 1 large company to work for in a state full of corporate headquarters). One way it does this is by offering them classes on everything from gardening and personal relationships to couponing and financial planning. Runyon focuses heavily on training and retention, knowing that in an industry where clients interact primarily with machines, it's the experience with trainers and other gym staff that will determine whether they stick with their exercise routines and with the brand. "The only thing worse than training people and having them leave is not training people and having them stay," contends Runyon, who says Anytime looks for employees who like to be challenged and stretched. "Even though they don't have a direct return on investment, I've never regretted one dollar we've put toward parties or professional growth." In the past year, Runyon began taking the principles that have made Anytime so strong and applying them toward a second brand, Waxing the City, a new waxing concept that already has about 20 units sold. He says he will announce a third brand this year. The diversification is not coming because Anytime has run its course--far from it. The concept is expanding into Europe and Southeast Asia, and Runyon says there's still room to grow in the U.S.
"Over the next decade there will be lots of consolidation happening in our industry," he points out. "Four out of five health clubs are still independently owned. There are still a ton of niches to fill."